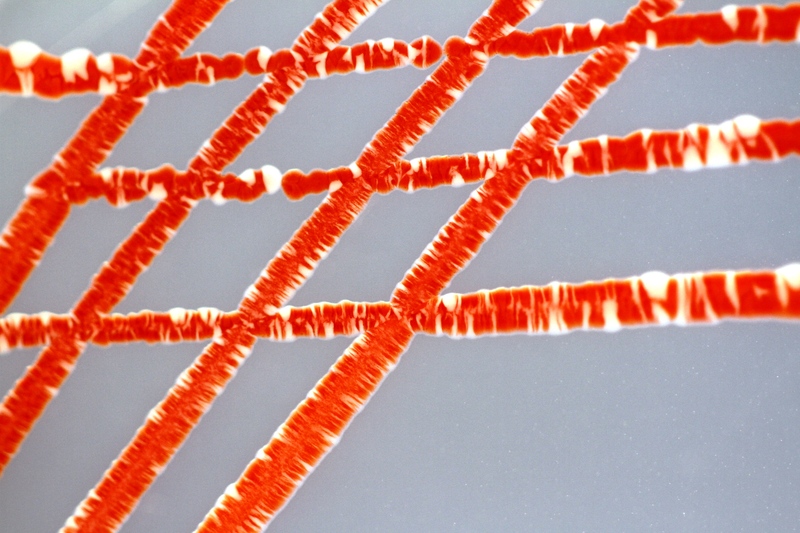 The bacterium Serratia marcescens produces the red pigment prodigiosin and thus grows as red coloured colonies. 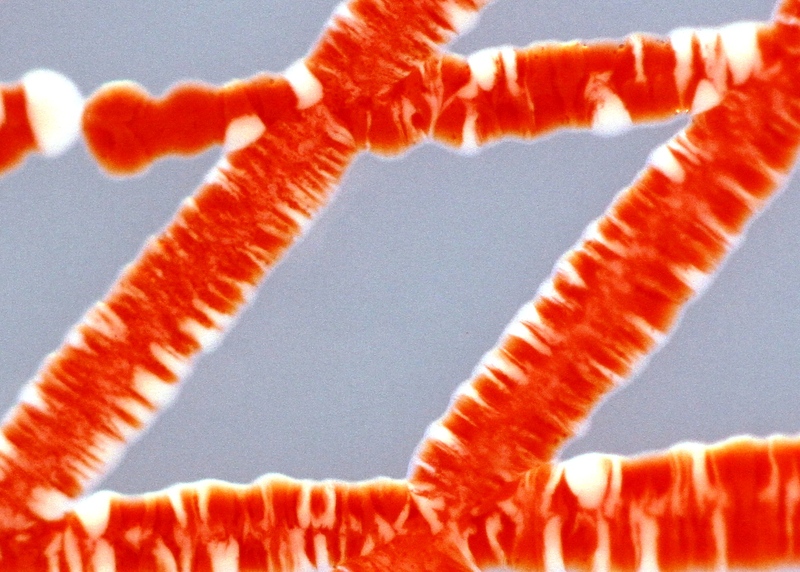 Production of this pigment is metabolically expensive for the cells and when they are grown in the relative comfort of rich laboratory medium, they no longer need to produce prodigiosin, and in the absence of natural selection for this property, they loose the ability to produce it. 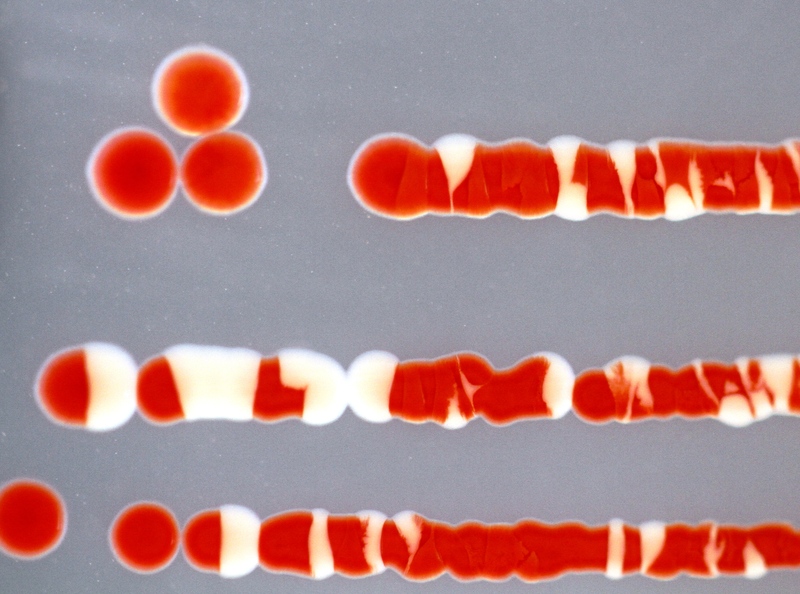 In these images white non-pigment producing cells are segregating away from the parental red strain, and beginning the evolutionary journey into a new species.